joe, 19 Mar 2010This US version has no WiFi Router, but the one version launched in europe has WiFi router, i... moreT-Mobile version of HD2 does, in fact, have WiFi! This US version has no WiFi Router, but the one version launched in europe has WiFi router, i dont understand why they take out features. 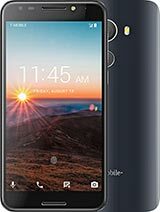 T mobile should get the Sony x10! Tmobile' sphones are not good and obsolete! What a shame????? alison, 15 Mar 2010most awful handset, had 6 exchanges!!!!! on a phone that's not out yet? Anonymous, 12 Mar 2010Why must tmobile brand everything!!! !what is wrong with you! all they did was put t-mobile on the front, add apps, and memory. STOP COMPLAINING! alison, 15 Mar 2010most awful handset, had 6 exchanges!!!!! fortunately, your lying. most awful handset, had 6 exchanges!!!!! Why must tmobile brand everything!!!! Total of 171 user reviews and opinions for T-Mobile HD2.